After successfully producing more than 70 Sensation events for two million visitors in more than 20 countries since 2000, Sensation “Innerspace” – taking place October 26 & 27 at Brooklyn, New York’s Barclays Center - marks Netherlands based ID&T’s first event in the United States. Tickets to the October 27 date sold out within two hours of going on sale, while only limited tickets remain for October 26. It’s an incredible feat to fill an NBA arena two times over for a dance event, but all the more impressive when you consider that the lineup to Sensation “Innerspace” had not even been revealed… until now. New York City has a rich house and techno music history and ID&T has searched near and far to find DJs who will make Sensation “Innerspace” unlike anything the city (and North America) has ever seen with two distinct line-ups. Friday, October 26 will feature DJ sets from the show’s host and Sensation legend Mr. White, Dennis Ferrer, Fedde Le Grand, Joris Voorn and Nic Fanciulli. On Saturday, October 27, it’s the turn of Mr. White, NYC’s own house music legend Danny Tenaglia, Fedde Le Grand, 2000 and One and Mark Knight. Limited tickets are available now for the Friday, October 26 date through Sensation.com. 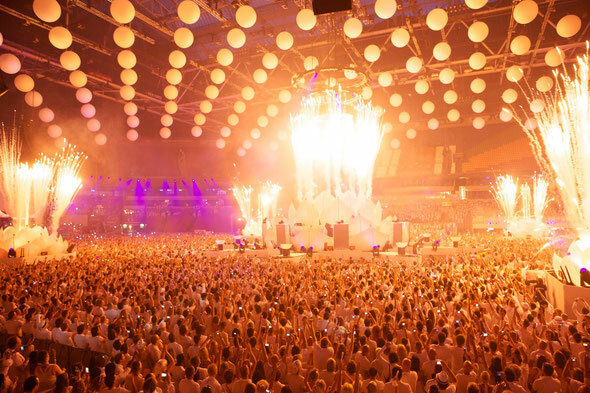 Guests must be at least 21 years of age or older to attend Sensation and white attire is mandatory.